PRIDE stands for Purpose, Reputation, Integrity, Direction and Energy. The model is a unique approach to building employee engagement and high performance in the workplace. The PRIDE Model is built on two key principles. Firstly, recognising the power of the individual to have an impact, to affect change, it looks at life at work from the dual perspective of the organisation and the people that work there. Nothing happens at work unless the employees turn up, physically and mentally, and so the PRIDE Model consciously places them and their interests on a par with those of the organisation. Secondly, it places equal value on technical skills and emotional intelligence. If you want to build pride in your organisation and to see colleagues taking pride in their roles, you need to appeal to both rational and emotional incentives. People and organisations are successful when they are led by a well-rounded team and so leaders are encouraged to get to know and care about the people who work for them. 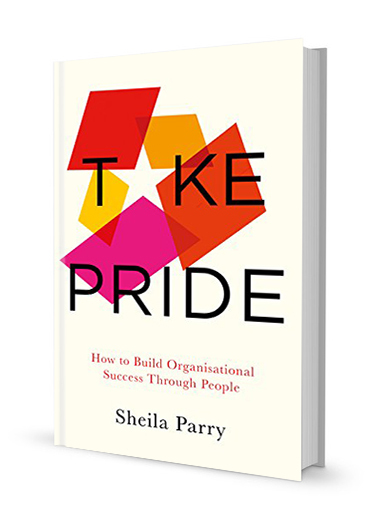 There is a compelling business case for pride at work – pride in oneself and pride in one’s organisation lead to better personal and collective performance. People with pride will make more effort, make better decisions, forge better relationships with their customers and become more positive influencers on their colleagues. They will also take more care of their own and their organisation’s reputation. People with pride are generally happier and healthier. They are more confident in their own abilities, are more fulfilled and are less likely to suffer from stress. Take Pride is for leaders and influencers who want work to be a great place for the majority, not the minority, and who are looking for a fresh approach to make it happen. An authentic statement of purpose creates emotional connections between brands and customers; between institutions and people; and it creates meaning for employees at work. It may be inherent to your organisation, or it may be a higher ideal that you seek to achieve alongside your business goals. But it is not enough to think that organisational purpose alone creates meaningful work. The motivation of individuals is an interwoven strand that drives people to achieve things for themselves and for others. It impacts how much effort they put in and how they relate to their work. When fulfilled, it can carry them further and deeper into a positive relationship with their work. Most companies realise that their reputation can make or break them, and that employees are an integral part in the equation. Fewer companies really consider the impact of their corporate reputation on their existing and potential employees. The employer brand arena is dominated by a handful of organisations, who recognise the power of the employee voice in employee attraction and reputation management. Most employers are way behind in terms of realising the power of employee advocacy from the inside out and thus creating a brand story that delivers more effective recruitment and retention. The inner truth, or integrity of your brand promise is the central piece of the PRIDE model, and it should at the very least meet the expectations set by your employee brand proposition. Think employee experience from recruitment through to retirement as a framework, but don’t forget to add the dimension of their every day interaction with colleagues on your premises. Culture, values and behaviours are the real-life demonstrations of policies, standards and processes and every individual person contributes to the whole. The larger your organisation, the longer the chain of interactions, and line managers are key to making work a great place to be. They need to be givers not takers, motivators not judges, and ultimately driven by the success of their teams. Clear and visible direction, and a sense of contributing to a future goal, is a huge factor in employee engagement. This is often expressed in terms of vision and strategy, where is an organisation going and how will it get there; but it also needs to articulate what employees need to do to contribute. Leaders should be well versed in providing the line of sight between a goal and a task, but to truly resonate they need to consider their employees’ direction of travel as well, what life-stage they are at, and where they are in their own skills development. It is vital to set direction but also to know how far and how fast people are able and willing to come with you. While the life expectancy of the average business is falling – companies generally are changing more rapidly, brands are coming and going – and it takes more energy to survive and thrive. Energy encompasses the physical, mental and indeed spiritual health of your company and its people. Operational health, premises, flexible working and space for creative thought will build longevity, sustainability and stamina. People who are inspired will give their best and be in the flow. At the same time, individual health and wellbeing is a massive economic issue. We are not only living longer but we are working longer too. Organisations need to nourish all their employees, but anticipate the fact they will need to accommodate a more multigenerational workforce than in the past, and that might mean some smarter, more flexible working patterns. So you’ve bought into the philosophy and want to see the PRIDE Model come to life in your organisation. Although every organisation is in a different starting position, here are the typical steps you will have to think about. 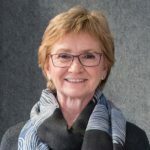 If you need help, call Sheila to discuss how she can provide support for your internal team. Creating a PRIDE programme and putting it into practice requires leadership, ownership and resource. Typically in smaller companies, this is led by a CEO, and in bigger organisations, it is a strategic partner to the Board, like an HR or Brand Director. The resourcing and structure of the implementation team will depend on the scale and capabilities of the organisation and of your team. The PRIDE model is built on the core belief that pride in the organisation and pride in one’s role drives performance. So it’s worth giving some time and thought to how that concept may play out in your organisation. It is also essential that the entire programme is explained in clear communications and supported where necessary by skills development and coaching. HR and Communications professionals are in a great place to represent a PRIDE programme internally, as, in order to function, they are generally tuned in to the different aspects of an organisation’s strategy and its people already, they own or at least manage the communications channels, and are well connected with the decision-makers. You then need to determine how all five elements of the PRIDE model are currently working in your organisation, through a combination of fact-finding, qualitative and quantitative investigation. We recommend following a process of structured interviews and focus groups with representative groups from senor management, functional leads and employee teams. We also supply an employee questionnaire, created with The Centre for Brand Analysis, to gather input from your whole workforce, or a representative portion of it. This can be conducted online or by hard-copy, depending on the working practices of the organisation. The questionnaire demands up to 100 individual responses to questions and statements in 12 different categories. The number of questions and statements can be tailored according to the target user group, but there is a minimum set of questions that are required before an integrated PRIDE score can be applied. The PRIDE diagnostic will be analysed by The Centre for Brand Analysis and reported by an independent researcher who is experienced in the PRIDE model. The diagnostic report will demonstrate where the strengths and weaknesses of the organisation lie and pinpoint the areas in need of most attention. The results for each organisation will be unique and the improvement programme will need to be tailored accordingly. We can work with your internal team to present results back to the leadership team and put forward recommendations for improvement. The components of the PRIDE model are influenced and impacted by a wide range of factors and so recommendations for improvement are likely to touch many parts of your organisation. Your implementation team will need to identify the actions that will make the greatest difference to collective and individual performance. Each aspect of PRIDE can be addressed by introducing and maintaining specific processes and practices at work. They will need to be assigned to the most appropriate lead and work within your existing structures and functions. Previous PRIDE action plans have included new and improved performance management processes, clear communications on future strategies, new energy plans and health and wellbeing communications programmes. There are several ways of conducting light-touch reviews of your action plans, including informal feedback sessions with employee representatives, and quick pulse surveys on one or two aspects of your programme. In order to track results of the entire programme, the PRIDE Diagnostic should be repeated in its entirety 12-18 months after the initial diagnostic. Recognition is an important source of motivation for employees. If you already have an employee recognition scheme, you should consider whether to integrate elements of the PRIDE programme into it, or to expand it to celebrate examples of improvements in PRIDE components. Otherwise, you can create a process that will suit the culture of your organisation and encourage people to take celebrate their Moments of Pride in the organisation. Take Pride includes a chapter called Pride in Practice that provides more details on the PRIDE methodology. The book also contains practical tips and ideas on how to introduce the five factors of Purpose, Reputation, Integrity, Direction and Energy. How far can you Take Pride? There is no single silver bullet to creating pride in your organisation, but there is a proven methodology. Get in touch to find out how you can get started.